I love how everyone on this site uses the "Anecdotal Maintenance Manual" AMM. 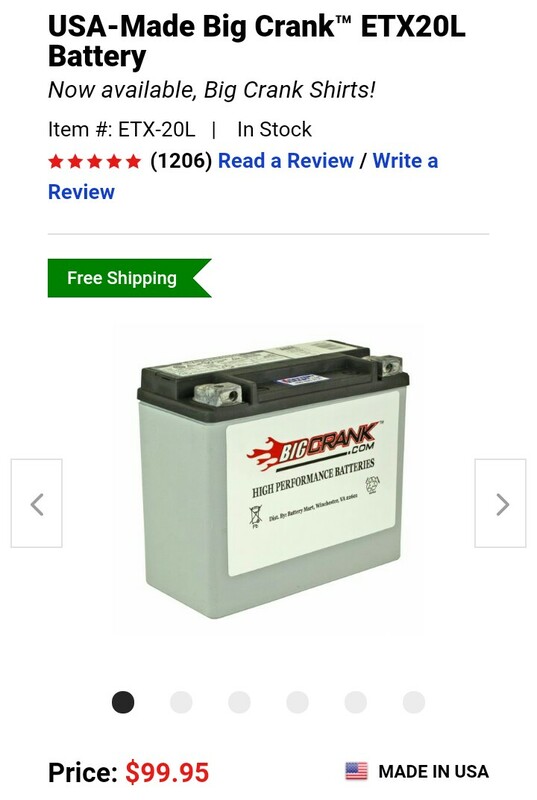 "I have a friend that was in the Navy"...."I don't remember where I got the 30 minutes from"..."What is the correct specific gravity"
Todd, My comment about my 90 plus year old friend that was in the Navy in WWII was just some trivial info on how they dealt with lead acid batteries back in the day. I thought it was interesting. I read that manual 20 years ago and used those practices almost daily when we were still using vented lead acid batteries. Most everything I do now is AGM. Did learn they recommend it is proper to check specific gravity 3 times in 3 hours. Glad you are here to shame us into doing things by the book. Initial Charging Instructions. Use recommended hydrometer. typically be charged in about 8-12 hours using a constant current charger. I learned the hard way how to destroy the little lightweight orange Odyssey battery, I posted this couple years ago. Shut down and got distracted with a phone call and accidentally left the master on for about an hour with the nav lights on, the J16 was down to 12.2 volts, normally around 12.7 with a good charge. Did not put a charger on it, I flew it the next day and it started fine but the ammeter was high about 18 amps with nothing on but the radio, the generator was only putting out 13.5 volts for about 15 minutes while the amp draw to the charging battery was high, it stayed about 18 amps for 10 -15 minutes and gradually came down to the normal 3 or so amps, and as the amps decreased the voltage increased to it's normal 14.0 volts gradually as well. Should the amp draw charging the battery be that high even with a depleted battery condition? I know high charging voltage can damage the battery, I never thought about high current, never saw it that high. It worked for a few months but it lost its umph, it would die on the second start attempt if I didnt get it going on the first try when the engine was hot. I had to throw the 2 year old Odyssey in the garbage. Last edited by SMO22; 03-21-2019 at 08:13 AM. I made life much easier. Went with the FAA/PMA Power Safe SBS J16 battery years ago. The first one lasted 8 years and my second one is on its 5th year and going strong. I have never had to put either one on a charger. The aircraft alternator kept them charged. No water to add, no corrosion to deal with and saved a bunch of weight too. Last edited by Gilbert Pierce; 03-21-2019 at 08:29 AM. Last edited by SMO22; 03-21-2019 at 12:00 PM. What’s the regulations say about battery requirements? I wonder if a CAR 3 airplane could run a lithium iron battery. My Earth-x will just about taxi the plane on the starter. Read AC 20-184 if you want an idea about the installation requirements for installing lithium batteries. Just got a deal on a battery minder and interface kit. Should help. One of my pilot buddies is an electrical engineer and knows a lot about the science of aircraft batteries. Concord sealed batteries, for example, require a particular smart charger to properly maintain them. Be careful using the Harbor Freight Battery Maintainer and things like that, could do more harm than good. "A $20 charger on a $300 battery can lead to sadness...."
FWIW: I also have the J16 Odyssey. My plane's been "in the shop" for the past few years so no real in-the-air experience (yet), but that J16 certainly does hold a charge well. I've also read that heavily discharging AGM batteries will definitely shorten their life (so that's definitely something to avoid), and they do require a different charging profile than LA batteries. Seems most chargers these days have "AGM" settings on them, though I've used my 2-amp motorcycle charger on it with no apparent ill effects. Last edited by walt.buskey; 03-23-2019 at 03:37 AM. Heavily discharging any battery is hard on them. Deep cycle marine batteries take it better than most. The Odyssey PC680 in my Thorp is 10 years old according to what is written on it. It has been drained at least twice to my knowledge. It was dead when I went to look at the airplane and it went dead a few months after I bought it. It has stayed charged since I rewired the charging system.